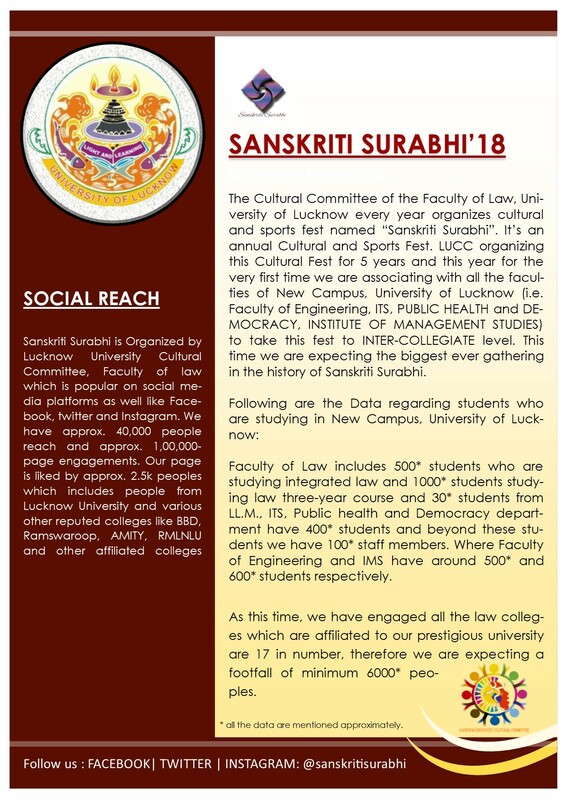 The Cultural Committee of the Faculty of Law, University of Lucknow every year organizes cultural and sports fest named “Sanskriti Surabhi”. It’s an annual Cultural and Sports Fest. 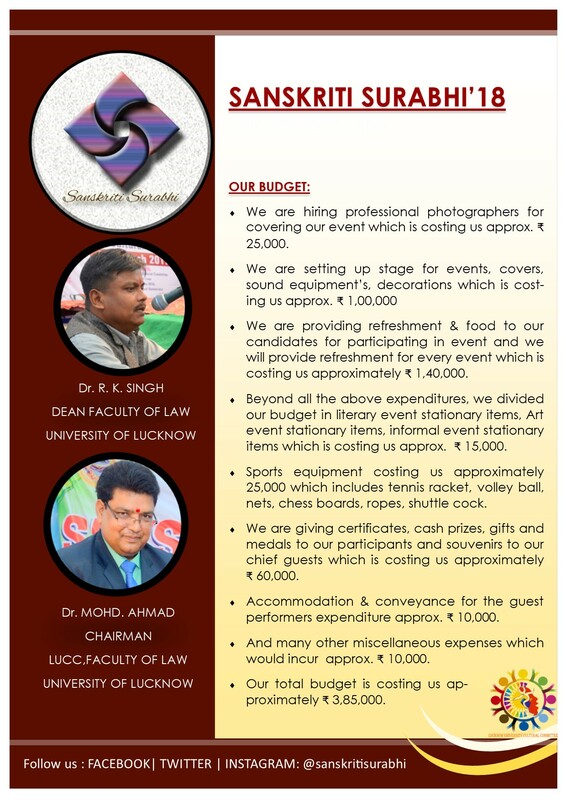 LUCC organizing this Cultural Fest for 5 years and this year for the very first time we are associating with all the faculties of New Campus, University of Lucknow (i.e. 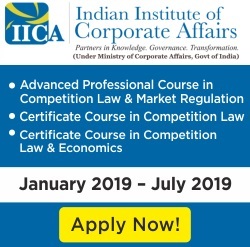 Faculty of Engineering, ITS, PUBLIC HEALTH and DEMOCRACY, INSTITUTE OF MANAGEMENT STUDIES) to take this fest to INTER-COLLEGIATE level. 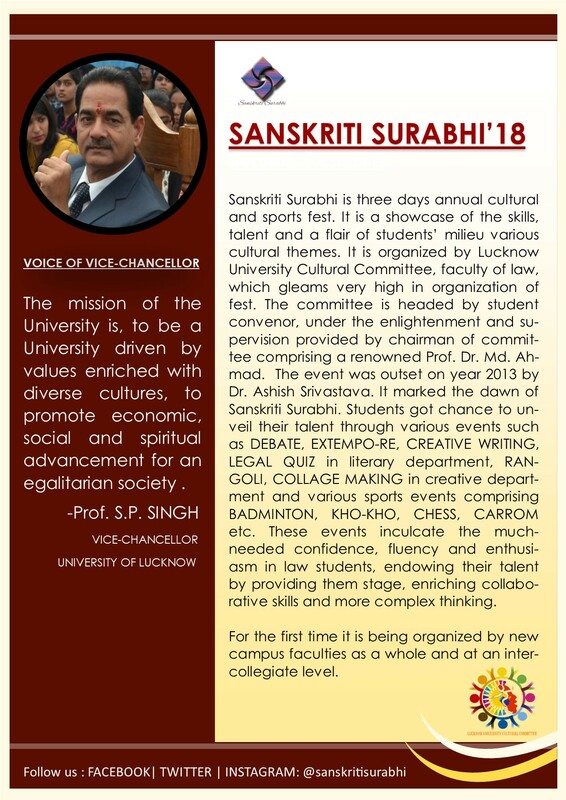 This time we are expecting the biggest ever gathering in the history of Sanskriti Surabhi. 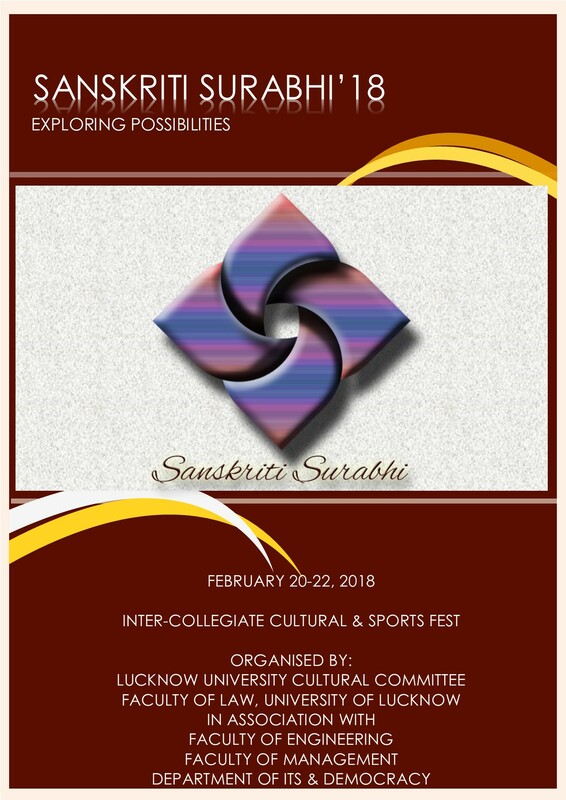 Sanskriti Surabhi is three days annual cultural and sports fest. 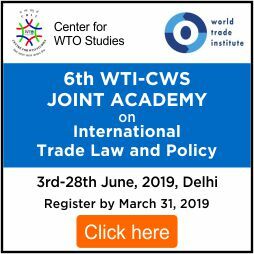 It is a showcase of the skills, talent and a flair of students’ milieu various cultural themes. 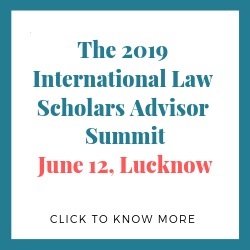 It is organized by Lucknow University Cultural Committee, faculty of law, which gleams very high in the organization of fest. 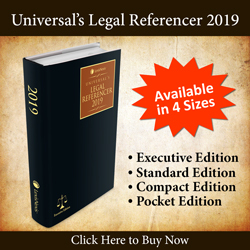 The committee is headed by student convenor, under the enlightenment and supervision provided by the chairman of the committee comprising a renowned Prof. Dr. Md. Ahmad. 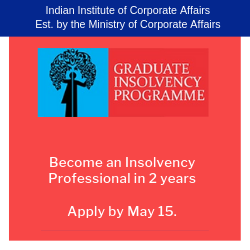 The event was outset in the year 2013 by Dr. Ashish Srivastava. 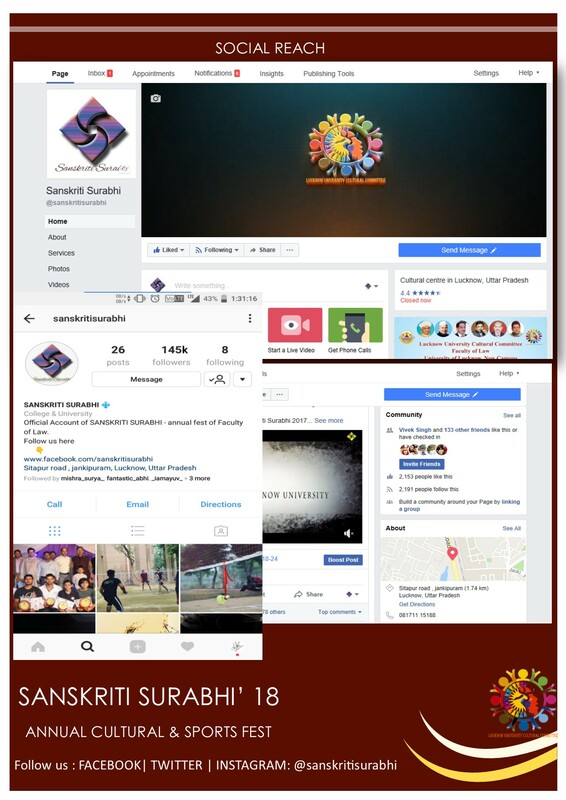 It marked the dawn of Sanskriti Surabhi. 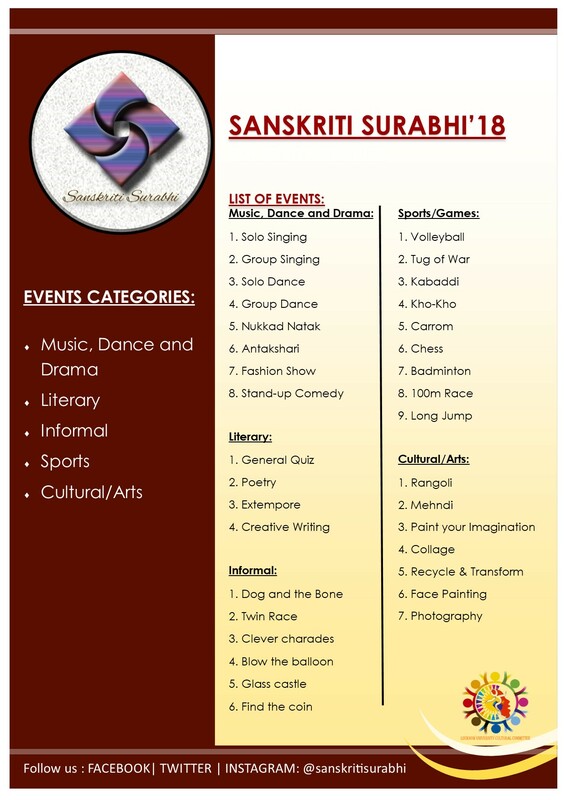 Students got chance to unveil their talent through various events such as DEBATE, EXTEMPORE, CREATIVE WRITING, LEGAL QUIZ in the literary department, RAN-GOLI, COLLAGE MAKING in the creative department and various sports events comprising BADMINTON, KHO-KHO, CHESS, CARROM etc. 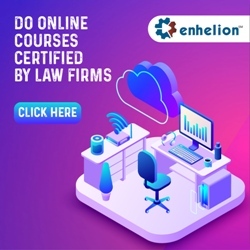 These events inculcate the much-needed confidence, fluency, and enthusiasm in law students, endowing their talent by providing them a stage, enriching collaborative skills and more complex thinking. 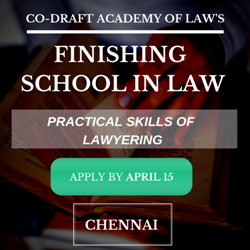 For the first time, it is being organized by new campus faculties as a whole and at an intercollegiate level. 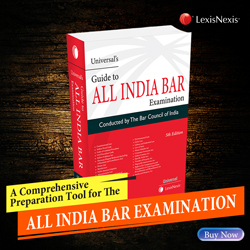 NOTE: Only students from Law Colleges affiliated with the University of Lucknow can participate. 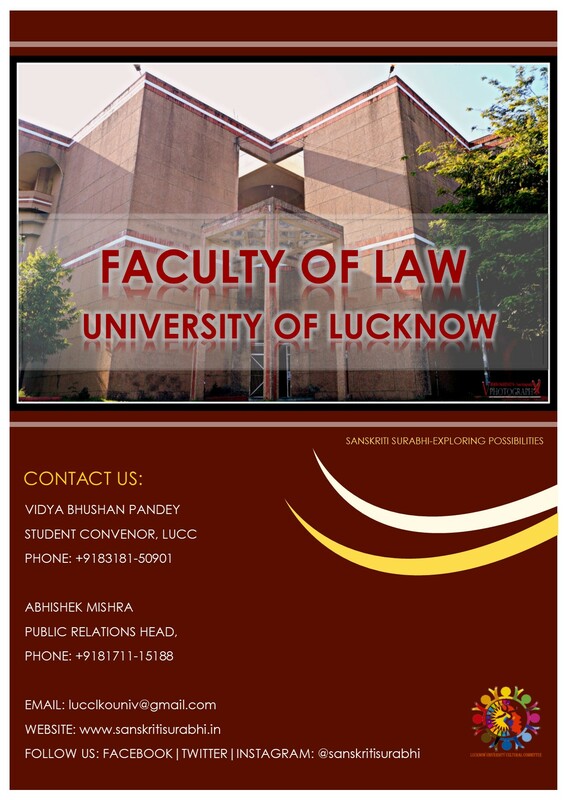 University of Lucknow, New Campus.